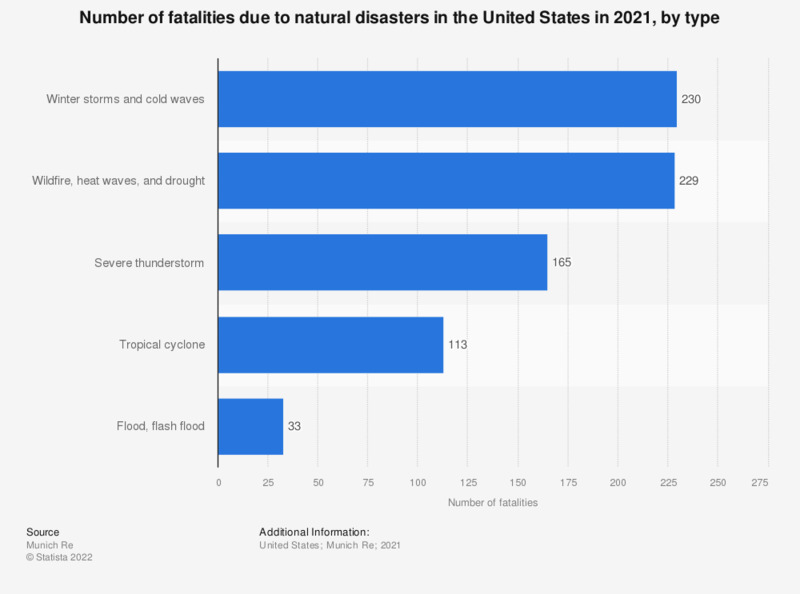 This statistic shows the number of fatalities due to natural disasters in the United States in 2017, by type. There were total 14 fatalities reported due to floods in 2017. In total, there were 356 fatalities due to natural disasters in the United States that year.